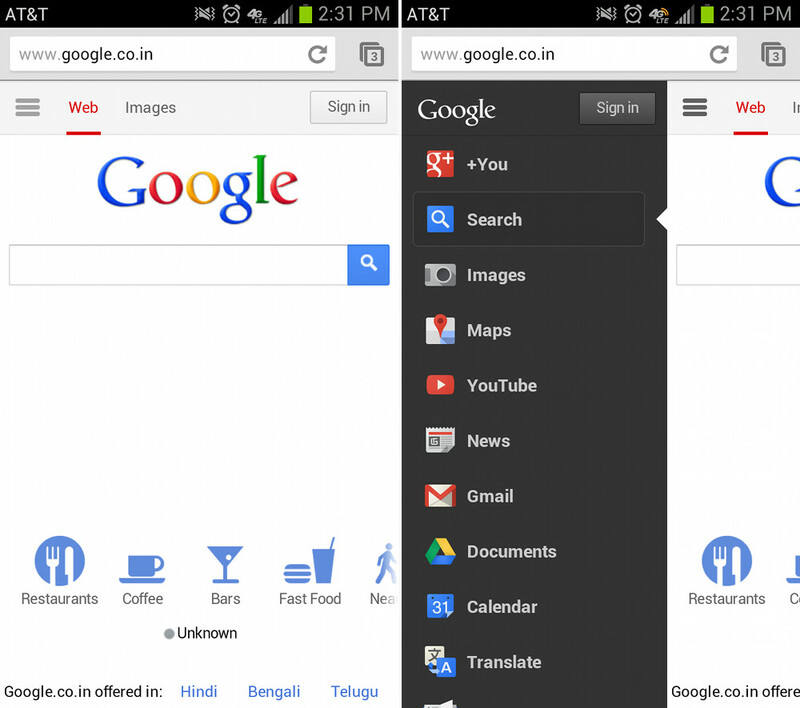 Google appears to be in the middle of a mobile site overhaul of google.com. 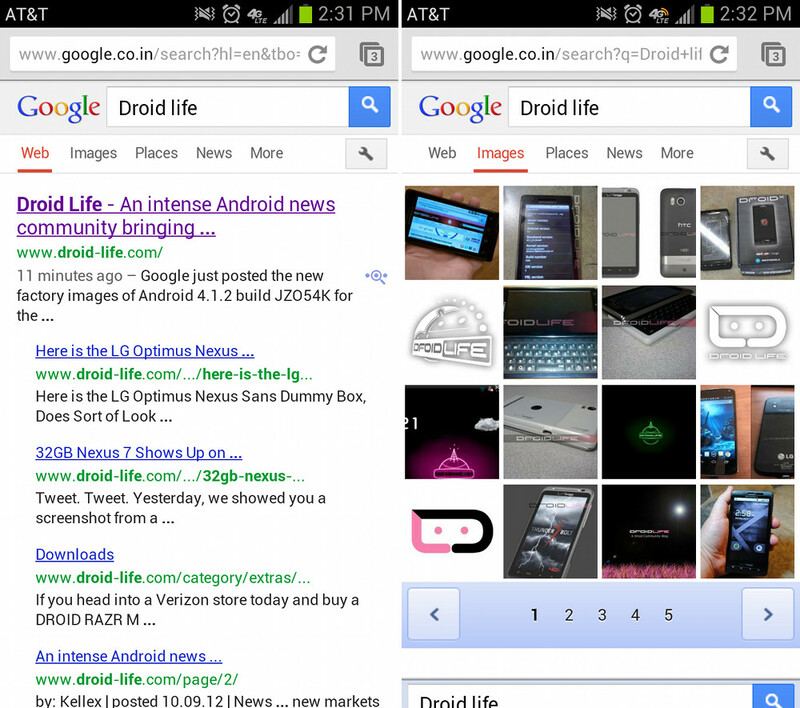 As you can see in the pictures above and below, the tabs at the top for News, Images, Places, etc. have been replaced by a menu button. When tapped, you will see a sidebar slideout from the left edge, similarly to what we have seen in the YouTube and Google+ apps. Also, after searching for items, the top tab bar has been removed in favor of a scrolling options list directly below the search terms. It matches up quite nicely to the new desktop version of google.com that came earlier in the year, and is a massive improvement over the other dated mobile look. We aren’t sure how quickly this new mobile version is becoming available. I was unable to see it by going to google.com, however, I can see it if I go to other versions of Google, such as google.co.in. Tim was able to see the new layout in the stock Android browser, but not in Chrome, without doing any secret India tricks.